Finding healthy strategies that are actually sustainable can be a challenge. How many times have you tried to drink more water, exercise more, or eat more vegetables but just can’t seem to stick with it? The first (and most important) step is that you must test drive new healthy changes to find the ones that are right for you. Don’t commit right away! Find changes that work with the strengths of your personality, and also help keep your weaknesses in check. Everyone falls on the spectrum somewhere between a type-A (numbers, details, budgets, lists, organization) and a type-B (free spirit, go-with-the-flow) personality. Someone on the more extreme end of the type-A spectrum might be very good at self-discipline. Too good, in fact. If they choose a very detailed, overcomplicated-because-they-love-control method of keeping their food in check, they may tend to become obsessive. They track grams of carbs, proteins, and fat, and monitor every calorie down to the very last crumb. They thrive on this control until one day – whoops – we pass over healthy and slide down that slippery slope into disordered eating. Eating is no longer fun but a competition. A highly structured eating plan may not be a good idea for someone who is ALL the way at the type-A end of the spectrum. Let’s try the other end of the spectrum. An extreme type-B may avoid the control of number-tracking like the plague, so they go for a much more flexible method. Too flexible, in fact. So flexible that they free-spirit their way in the opposite direction of their goals. Their personality is so extremely type B that they need a more structured (but not overly restrictive or controlling) method if they’re going to get anywhere. They just need a little more accountability. In reality, most people do not fall at either extreme but instead somewhere in the middle. When you’re in the middle, you have some of the strengths of each personality and possibly some of the weaknesses too. No matter where you are on the spectrum, it takes a little honest introspection to know which might be some of the best approaches for you. Using a daily food group checklist can help you make sure you’re getting a wide variety of carbohydrates, proteins, fats, vitamins, minerals, and fiber in the right amounts, but without the detail of a food tracker. Visit this website to calculate your daily needs and get a list of your personalized daily goals for each food group. Make a simple checklist or tally mark for each group each day so you can meet your goals without too much time investment. While I’m not a huge fan of meal plans made by people other than you, getting into the habit of making your own regular meal plan is a great way to set yourself up for success. If you already have the plan and the ingredients (possibly prepped and ready to go! ), you are much more likely to eat more healthfully than if you were playing it by ear. Check out this post for a step-by-step guide and free printable to help make meal planning simple and easy. 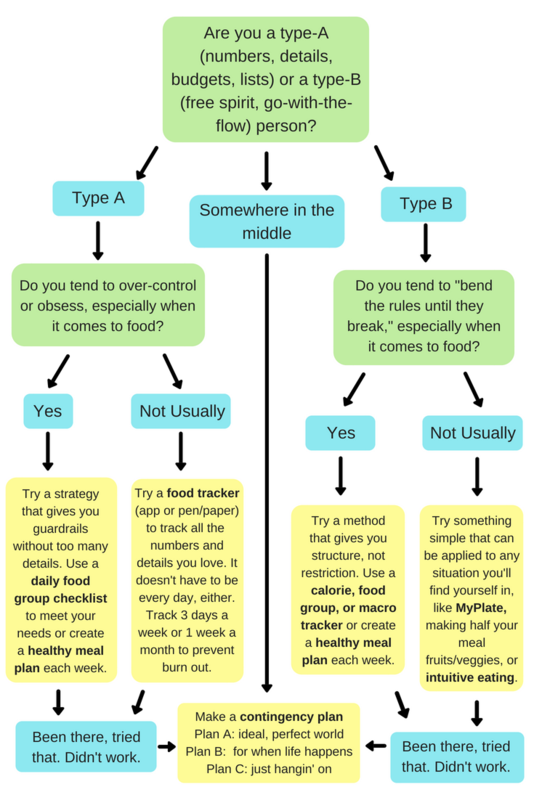 Food trackers are some of the most detail-oriented options for providing structure, accountability, and awareness. They can be as simple as a food journal with pen and paper or as complex as some websites and apps that have barcode scanners and track your calories, macronutrients, vitamins, and minerals. While these tech marvels are nifty, they have their pros and cons, so make sure to test it out first to see if it’s a good fit for you. This post has some reviews of apps and websites to help you create healthy habits. One important thing to remember for tracking: it’s a tool for you, not a rule you must follow. Only track for as long as and to the extent that it is useful and helpful to you – and absolutely no farther! Most of my clients end up settling in to a routine of tracking every other week or a few days a week. Tracking every day forever is pretty exhausting! 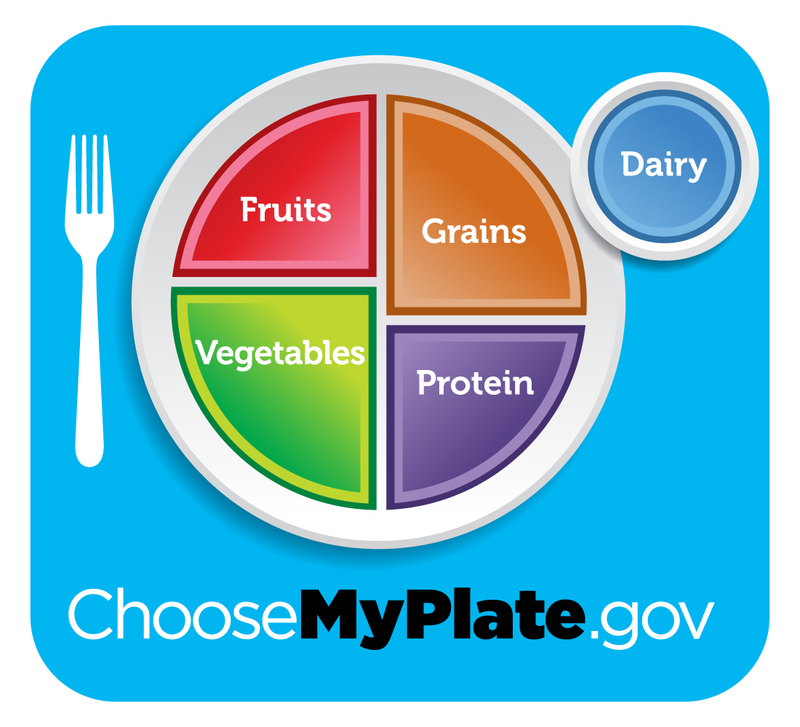 MyPlate is the visual put forth by the USDA to provide nutrition recommendations, and it replaced the Food Guide Pyramid in 2010. Personally, I feel that MyPlate is much more user-friendly, since it does away with memorizing portion sizes and numbers of portions. Instead, it provides a evenly divided plate that builds in a bunch of nutrition recommendations in (so you never have to think about them!). It balances your carbs, proteins, and fats, while helping ensure you are meeting vitamin, mineral, and fiber goals. And you can do this anywhere – you can hit every food group at a fast food restaurant, mini mart, grocery store, or in a packed lunch. It’s so simple my kids have been doing it for years! Just take this mental picture with you and try to make as many of your meals (especially lunches and dinners) resemble MyPlate as possible. A good rule of thumb for breakfast? Include at least 3 different food groups and make one of them protein. You can read about my experience following a MyPlate plan, as well as some of my tips for following it starting with this post. This is a method of allowing your body’s hunger and fullness signals to guide what you eat. Often this begins by practicing mindfulness of your body’s cues. This approach helps separate moral feelings (like guilt or pride) from simply honoring your body’s needs for fuel. You can read more about intuitive eating here. Hopefully these guides and resources help you find the best healthy changes to test drive for your life. 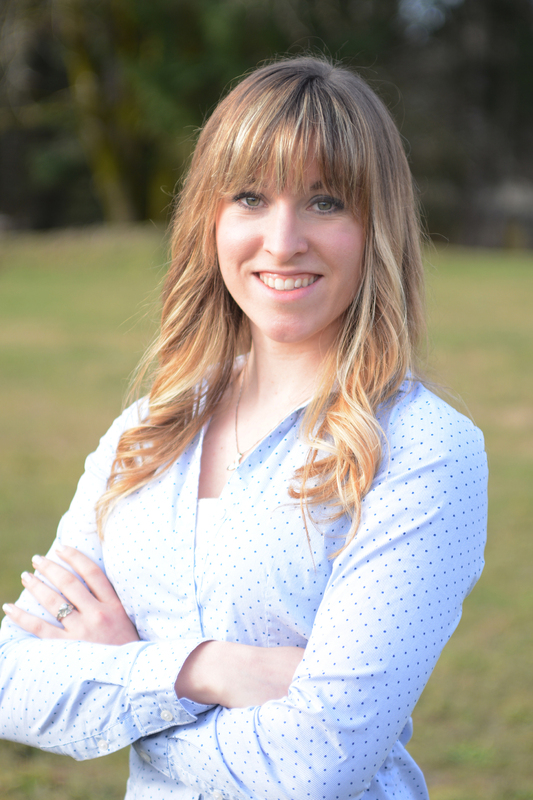 Let me know if you have other ideas of healthy changes, or which strategies have worked the best for you!